Heart&Slash is, as the name suggests, a hack and slash 3d brawler with roquelike elements made by a small Spanish development team, aheartfullofgames. You take the role of HEART, a newly made robot that wakes up in the factory without knowing where it is and by following the warnings of his creator, given through a computer, he tries to hack, slash, burn, electrocute etc. its way through other robot enemies, trying to get to freedom. For a game of this genre, the gameplay is very imoportant and thankfully I can say that in Heart&Slash it is very responsive, and most importantly, enjoyable. Depending on your luck at the beginning of the game, you might have 3 weapons to use, each of them assigned to a button. You can change them by holding the corresponding button, depending on the damage it does to specific enemies or your personal preference. You can also change weapons mid combo and have pretty sweet results. You have a button for the normal attack that creates combos and a heavy attack that is mostly slower but does more damage. You can jump and double jump, and also perform air attacks. 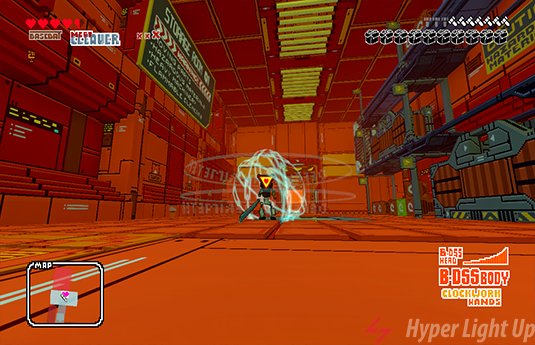 There is an evade button that you will have to use to escape the swarming enemies and their attacks, and finally with the sticks you move the character and the camera. I played mostly with gamepad and I suggest using it if you have it but I tried with keyboard too and it’s doing a very good job too. If you are using a keyboard, make sure you check the Alternative Weapon Selection so your weapons are locked in every time you select them and you don’t have to keep the key down. That will definitely make the experience better. In general the game is fast, your character is fast depending the weapons you use and the attacks you do, the moves are responsive and very enjoyable. You need good timing to avoid enemy attacks or to block them, so don’t expect to go in and buttonmash your way out of the stages. You will have a great selection of weapons to choose and they spawn randomly at the beginning of the stage and sometimes in some rooms. Besides the weapons, you might find shields, grenades or parts for your body that will make you stronger or give you abilities. So, after you wake up as an amnesiac robot and equipped the weapons you found, you are ready to find your way out of the factory. 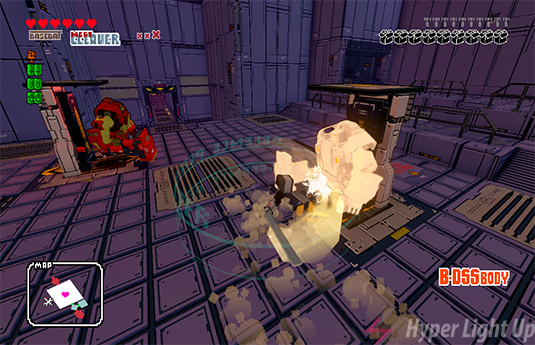 In each random generated stage you will find a variation of baddies that will try to stop you from getting out. There are the normal enemies that vary from normal robots like you to brute, slow moving but powerful robots and small ones that explode when they get next to you. Some of them fly so you will need to use your double jump and your air attacks, while others throw homing missles at you, so you might want to time your hit so you will send them back to them. Each kill gives you some parts and when you gather ten of them, you complete a box. With that box you can upgrade HEART even more, give him more health, more power or speed. The roquelike element of the game comes into play at this moment because if you die it’s game over but you get to keep all the boxes you have completed. That means that, if in your next run you have a good weapon drop at the beginning of the stage, you can spent your boxes upgrading your character so you might have more chances of winning. Of course if the weapon drop is not good, you can do suicide runs, just killing robots and gathering parts. I really liked this element and actually it was a big reason to replay the stages all the time. When you reach the end of each stage, there is a boss fight that you must go through. The bosses are pretty impressive, have their own sets of moves that you will need to memorize and do a good amount of damage. My only gripe is that, in the first stage you have two possible bosses to fight and one of them is very difficult to the point that I wouldn’t upgrade my character because I knew that if I had to fight that boss, I would mostly lose. That meant that I would speedrun the first stage, reach the room before the boss, which actually lets you know who you fight and then upgrade. Each stage is accompanied by a few musical tracks that set the pace for the game and I really loved them. They are playful, uptempo, funky and remind me soundtracks of games like Persona 4 or from anime series. 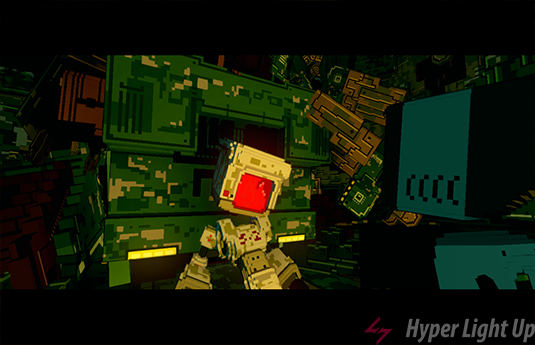 The vibe of the music I think goes with the personality of HEART, who is a robot that doesn’t want to kill but has to, and the gameplay which is frantic and enjoyable. For me the music in the stages was a big plus because I really liked it. The problem is that you will mostly spent a lot of time in the first stage trying to learn the game that the song that plays might get repetitive. The story is not that interesting, didn’t hook me or made me want to see what happens next. The messages from the doctor are scarce and don’t explain much to get me involved and you don’t find info in the stages to get you even more into the world. The gameplay and music actually compensate for that, because I, as a big lover of a good story, came back to the game only for its gameplay. There are some negative things I noticed that aren’t so serious and probably can be fixed in a future update. At some moments you get stuck into a stairway without being able to move, but if you jump then you can continue normally. Also, the camera will turn at weird angles when you are in a big fight with many enemies and doesn’t let you cleary see what or who are fighting. Finally, there are some points in cutscenes that there is no sound or music and it feels pretty empty, like someone forgot to add them in the game. 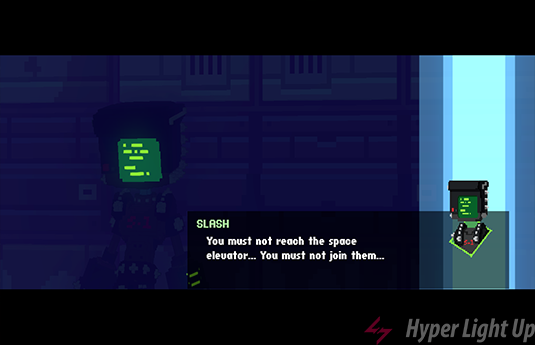 Heart&Slash is availlable on Ps4, XboxOne and Pc. You can buy it on Steam for the price of 13,99€. Heart&Slash is a very enjoyable hack and slash roquelike with fast paced gameplay, lots of weapons to use, combos to perform and abilities to unlock. The amazing music will pump you up in each run and you’ll get back to it trying to reach the end with more upgrades than the last time. It might not have an interesting story but the gameplay will hook you up with it’s franticness. Some small bugs should not let you from enjoying this sweet roquelike with a HEART full of gold.